Dr Yang is an orthopaedic spinal and hand surgeon who specialises in complex spine reconstruction and vertebral tumour surgery as well as all aspects of adult and paediatric spine surgery (in particular scoliosis), hand and peripheral nerve surgeries. Prior to joining BrizBrain & Spine in 2013, Dr Yang was Director of Orthopaedic Surgery and Director of Spine Surgery Fellowship at the Royal Brisbane and Women’s Hospital. Dr Yang completed his medical training in 1994 and spent a few years working in different specialty areas. He undertook advanced training in orthopaedic surgery and obtained the Fellowship of the Australian College of Surgeons in 2004. 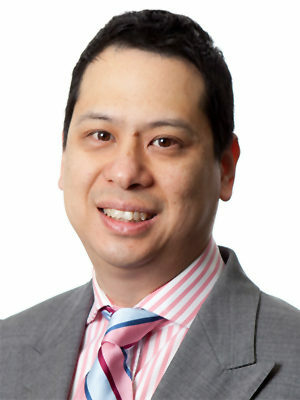 Dr Yang then completed a Fellowship in hand surgery in Sydney followed by a Fellowship in Complex Spine Surgery. Dr Yang has gained experience in leading edge spine surgery in Cleveland Ohio, New York and Germany where he had visiting fellowship appointments. Dr Yang learned about surgical treatments of complex spine deformity from centres around Australia, Germany, London and New York. Dr Yang is actively involved in research in spinal infection and oncology through the Royal Brisbane Hospital, whilst also holding a position as Clinical Senior Lecturer at the University of Queensland School of Medicine.